Simply having a college degree will not get you hired. We need to break away from this idea. In all reality, most employers could care less about your GPA or where you went to school. Today, getting hired in entry-level positions requires experience and fine-tuned skills, not a 4.0 GPA. This probably isn’t what most new grads want to hear, but it’s the truth. Many new college graduates enter their job search with a why-wouldn’t-someone-hire-me mindset. But most employers aren’t going to take on an entry-level hire unless they’re certain they’ll positively impact the company. So the real question for new graduates to consider is this: What can you bring to the table that makes you worth hiring? 1. Your degree isn’t a golden ticket. We need to put an end to the “silver spoon complex.” Simply obtaining a degree may only help you out if you’re planning to go the corporate route, where companies have more time and money to invest in training programs. But at my company, I don’t even know which of my employees has a degree or not–it makes no difference to me. I care more about the impact my employees have on my company. I’d much rather hire someone who has been freelancing as a web developer for three years than someone who has a master’s degree in computer science. They’re bound to be more passionate, driven, and profitable in the long run, as they know what it takes to impact the bottom line. 2. It’s all about experience. I started my company Ciplex when I was 17. Throughout college I ran my business on the side, in addition to working in my college IT department. Today, undertaking one internship isn’t enough to prove your experience to employers. The reason so many college graduates can’t find work is because they lack experience. One simple way to get more experience within your industry is by taking on freelance work and contracting gigs. These types of experiences will help you learn and grow while developing a sense of independence, responsibility, and drive. All of these traits are highly attractive to employers. 3. Passion will help you succeed. If you’re just looking to get hired anywhere, employers will be able to tell. I get emails all the time from job seekers who are just looking to get hired and don’t indicate any passion for their work or my company. Passion will get you hired. Experience is one way to showcase this, but you also have to learn to properly articulate it on your cover letter, resume, and during networking. If you use the same cover letter for every employer, do you really think you’re conveying your passion for the position you’re applying for? Remember, it’s not just about looking for a job. Employers want employees who are truly passionate about what they do and have a vision to benefit the company. 4. Companies hire the person who is certain to cause the most positive impact.Before you apply to your next job opening, ask yourself the following: What can you do for the company? How can you turn a profit? If you aren’t able to answer these questions, then don’t apply. Employers–especially small businesses and startups–are only interested in hiring someone who is going to positively impact their company. When I review emails from job seekers, it’s very easy to tell who’s just looking to get hired and who’s actually going to impact my company. Make the effort to prove to employers you’re worth hiring. 5. Go the extra mile. Success doesn’t come to those who wait. You have to give everything you do your all … even if it means working late or on the weekends. Some people describe this as paying your dues, but it’s really just putting in the effort required to make an impact. 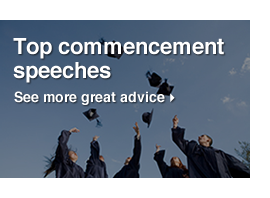 What do you wish someone would have told you when you graduated college? Photo courtesy of Daniel Rocha. Founder of Ciplex. Columnist for Inc, Forbes & LinkedIn. Gadget lover, investor, mentor, husband, father, and ’30 Under 30′ entrepreneur. Follow Ilya below to stay up-to-date with his articles and updates! One of my all time favorite quotes that changes me every time I read it. This quote resonates with me because I’ve gone through my own cycles over the past few years. I work daily with professionals who are stuck and stalled. The mindset makeover and attitude adjustment always begins between the ears. Sustaining a positive outlook and energy is not the easiest thing to do when “stuff happens,” and we are usually our own worst enemy. The benefits though of a PMA (positive mental attitude) and the liabilities of pessimism are well documented in various books and studies. Napoleon Hill’s famous work, “Think and Grow Rich”(1937), is one of the best-selling books of all time (at the time of Hill’s death in 1970, “Think and Grow Rich” had sold 20 million copies.) Hill’s works examined the power of personal beliefs and the role they play in personal success. Feel like you’re stalling or in a rut? Procrastinate on projects and follow up? Below are 10 steps that can help you makeover your mindset and adjust your attitude, if you commit to them. Review all your systems and make sure they are really working for you now. Review your daily time management and priorities and watch out for those “bright, shiny object” distractions. Set aside quiet time for yourself to get centered, focused and take a break. Address your fears and put them into a realistic perspective. Get up 30 minutes earlier, especially on Monday and Tuesday, and add days as you get comfortable. Eat a good breakfast so that you fuel yourself to start the day. Connect with your “A” people who nurture you and call you out. Make Monday and Friday full, fun days that start and end your week strong and set the tone. Read positive news and information and listen to your favorite music daily. Dress up, perk up and show up ready to make the most out of the day and make a personal statement about yourself. Oftentimes we need to shake up our habits, let go of a few bad ones and start building new ones. Personal and professional development is key to professional advancement. Seek out a coach, consultant or other professional to help you, or get an “accountability partner” or start an “accountability group” of dedicated people and do it together. Don’t accept being stuck or let fear hold you back. Your success and happiness is an inside-out job that you control. Start with your mindset and attitude and your heart will follow. Here are some additional ideas and suggestions for your mindset makeover. 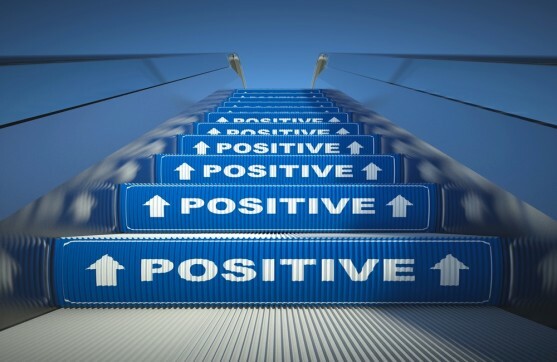 How do you sustain your positive mental attitude? Deborah Shane is a Top 100 Small Business Champion, career transition consultant, personal branding strategist and social media catalyst. Deborah hosts her Deborah Shane Toolbox blog and her Top 100 Small Business Podcast 2013, Deborah Shane Metropolis. She writes for national sites including Forbes, Monster, Personal Branding Blog and Small Business Trends. Her book, “Career Transition: Make the Shift” is available through all major book sellers. 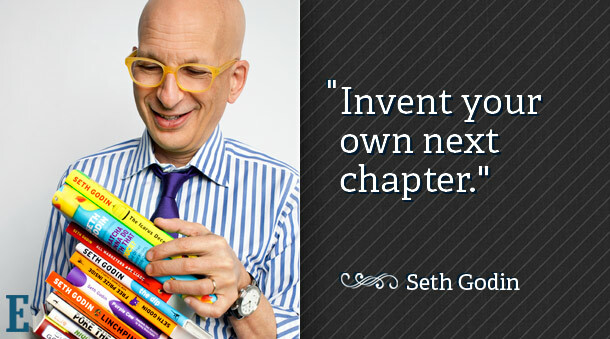 Seth Godin has one of the most-loved marketing blogs on the internet, has penned more than a dozen bestselling books and launched a social site that attracts more than 50 million viewers per month. Yet he makes little effort to cultivate a following, preferring to be discovered virally. Those who do find him stick around for his uncomplicated entrepreneurial mantras, which boil down to this: Make something happen. 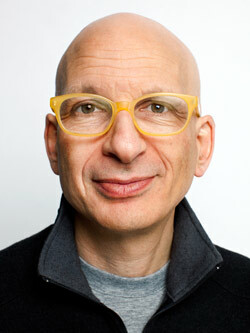 Now, he says, the time is ripe for impresarios and artists to take the lead in the business world. He sat down with us to reveal the philosophies that have brought him to this point, as explored in his new book, The Icarus Deception. 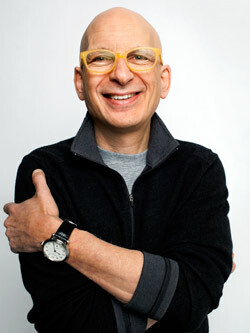 In the late 1990s, when the internet was a toddler, Seth Godin grasped the personal nature of the digital economy and made a fortune teaching people how to build direct-marketing relationships through e-mail. His groundbreaking book, Permission Marketing, detailed his strategy and made him the go-to marketing guru for web pioneers. 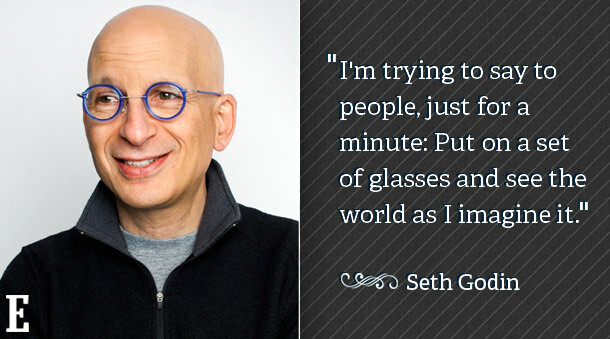 During the next decade, Godin wrote a dozen zeitgeist-savvy business books, penned a popular column for Fast Company magazine and started a daily routine of posting to SethGodin.com, which has long been in the top 10, if not No. 1 or 2, on the AdAge Power150 ranking of marketing blogs. In 2005 he launched Squidoo, a website that helps hobbyists publicize and monetize their personal passions and now attracts more than 53 million unique visitors a month. Godin isn’t as bald as he appears in pictures. The white duck down encircling his head is trimmed close. Sinewy and alert, he is also gracious and relaxed and makes a habit of preparing his favorite lunch of brown rice, vegetables and a fried egg for guests who visit the apartment he has transformed into a homey office in downtown Hastings-on-Hudson, N.Y.
For the past three years Godin has continued to write his daily blog and maintain a lecture and workshop schedule. He has no full-time employees. When he needs help on a project, he taps a small circle of regular collaborators. He is not a Facebook fan or tweeter; he has no publicist. Books from his publishing venture The Domino Project, launched in conjunction with Amazon, did not have major publicity pushes or wide release at bookstores; instead, its provocative ideas spread virally, as the slim volumes were passed from one person to the next. Success, meanwhile, has never offered more rewards. “We are paying people more money and giving them more freedom than ever before to make art,” he says. It isn’t just painters and potters and poets. Entrepreneurs, marketers, crazy people who dance on street corners and anyone else who isn’t afraid to express themselves has the opportunity to find an audience. “The sooner you deal with this and embrace it, the more likely it is that you end up on the side of the chasm with the people who can’t believe their good fortune, as opposed to people who are cursing the darkness,” Godin says, delivering his heaven-or-hell scenario with equanimity. “I’m pretty sure I’m right. What I’m not sure of is how long it will take and how unevenly it will be distributed. As good as that sounds–and Godin assures it is good–such a change can be both disruptive and destructive. Expect collateral damage: Some people will not be able to make the shift from working for others to working for themselves. All this is detailed in Icarus, which Godin describes as a “screed.” But though written in his discursive, stream-of-consciousness style, the book is neither long nor a rant. It is Godin’s clarion call, a public appeal to seize this moment of opportunity and riches before the barriers are rebuilt. If enough people make enough good art, impresarios might rule the world–an idea Godin finds appealing. Walk into any bookstore and you will find titles promising to liberate you from ennui, a hundred fast rides to wealth and fame. The self-help guru of the moment is Tim Ferriss. His narcissist’s guide to getting rich by working very little, The 4-Hour Workweek, covers all the bases. Godin’s books take the opposite tack. Rather than “how to,” they are “what is,” capturing big-business trends in short, evocative phrases.Unleashing the Ideavirus (2001) is a strategy for inspiring change in society. Purple Cow (2003) discusses the power of being unique in a world of sameness. And Tribes (2008) explains the new ways we are organizing ourselves in a hyperconnected world. Whatever the particular market phenomenon he is describing, Godin’s central message is the same: Face your fears. Risk failure. Struggle. Persevere. Be free. He offers no shortcuts or detailed directions. Michael Wayne was building his digital media company, DECA, when Godin released Tribes. “He captured what we were thinking and experiencing before anyone had a name for it. I bought the book for everyone in our office,” Wayne says. At the time Godin started writing, his students worked in office buildings for companies with big marketing departments. Today he speaks to individuals who embrace what he says about the post-industrial world and are eager to leave the platitudes of the corporate world behind. Buffalo, N.Y., in the 1960s was a painful obstacle course for a scrawny kid growing up with what he now thinks was attention-deficit disorder. Everyone played hockey, so Godin did too, despite heart-stopping fear of being slammed into the ice. And everyone went to summer camp, so Godin’s parents sent him off to Camp Arowhon in northern Ontario. “I didn’t like it much as a kid,” he recalls. “Camp was about fitting in, and there was a fair amount of bullying.” He stuck it out, though, finding his niche as a canoeing instructor. After graduating from Stanford University’s business school in 1984, Godin started a book-packaging company, peddling finished concepts to publishers. He had an early success, followed by 900 failures. Then, he says, he found his groove, before completely screwing up. In the early 1990s, before the online world had fully formed, Godin snagged a magazine assignment to write about “cool things” happening on the internet. He parlayed that into an $80,000 book deal, Best of the Net. The T-shirt was part of the package. “I hired a lot of people,” he says. “It took six months. We made a 250-page book, and it sold less than 2,000 copies.” At the same time, “Jerry Yang and David Filo saw what was going on with the net and said the best way to tell people is to start a search engine. And they started Yahoo. It was an invaluable lesson, says Godin, who went on to launch Yoyodyne, an internet marketing company he sold to Yahoo for some $30 million in stock in 1998, when Yahoo shares were rising $2 per day. Godin needed a way to explain exactly what he did for clients. “We weren’t selling ads, so what were we selling?” he recalls thinking. “I got in the shower one morning and didn’t get out until I had my answer. Just as the hot water ran out–15 to 20 minutes–I had it. What we do is ‘permission marketing.’ We deliver anticipated, personal and relevant messages to people who want to get them.” He laid out the philosophy in Permission Marketing. Landau says those words “completely shifted” his thinking. Indeed, “Never squander your relationship with your customer” has been a Godinism for 20 years. The Icarus Deception is a dare. But if you can accept that, and you offer your art to the world, Godin contends, life improves. New things are possible–witness the artisanal revolution that swept through the food world a couple of years ago. Mass-market producers like Procter & Gamble are losing more shelf space to impresarios every day. “If it isn’t going to happen in your industry, then your industry is dead, and you should get out of it. It will downsize and cost-reduce, and you can’t win there,” Godin warns. “The connection economy creates abundance,” he notes. However, “there are not going to be jobs like we used to think of jobs. Those jobs are going away. But the number of opportunities for tribe leaders goes up.” This is because the connection machine and the marketing machine and the announcement machine that is the internet allows everyone to create. “I can’t even go to the edges of how revolutionary this all is, because people can keep coming up with stuff that is even closer to the edge,” he says. “The thought that there will be franchises where there is no franchisor isn’t that big–it is only two years from now. The idea that if you can’t get on TV, you will make your own show and broadcast it is happening right now. No matter what field you are in, your bluff is called. You can no longer point to boundaries that are there, because they are pretty easy to surmount, if you want to. Postscript: I approached the research and writing of this profile wearing two hats. I was both a journalist and an entrepreneur. My standard curiosity spiked with skepticism made room for a bit of optimism that perhaps I’d learn something that would help me build Zester Daily, the journalists’ business cooperative I founded. Then I asked about finding an audience. “Generally, the tribe finds you,” he said. “If they are hiding, you are never going to find them. And if they find you, it is because you are being generous to others who are in your tribe. Generosity in the industrial setting means giving them stuff. But I’m talking about giving them kindness and attention and connection. They work hard, and they work smart. But highly productive people also tend to think about their work differently from everyone else. ome people get more done than others–a lot more. They do the work in spite of disapproval or ridicule. Work too hard, strive too hard, appear to be too ambitious, try to stand out from the crowd. It’s a lot easier and much more comfortable to reel it in to ensure you fit in. They hear the criticism, they take the potshots, they endure the laughter or derision or even hostility–and they keep on measuring themselves and their efforts by their own standards. And, in the process, they achieve what they want to achieve. They see fear the same way other people view lunch. One of my clients is an outstanding–and outstandingly successful–comic. Audiences love him. He’s crazy good. Yet he still has panic attacks before he walks onstage. He knows he’ll melt down, sweat through his shirt, feel sick to his stomach, and all the rest. It’s just the way he is. So, just before he goes onstage, he takes a quick shower, puts on fresh clothes, drinks a bottle of water, jumps up and down and does a little shadowboxing, and out he goes. He’s still scared. He knows he’ll always be scared. He accepts it as part of the process. Pre-show fear is like lunch: It’s going to happen. They can still do their best on their worst day. Remarkably successful people don’t make excuses. They forge ahead, because they know establishing great habits takes considerable time and effort. 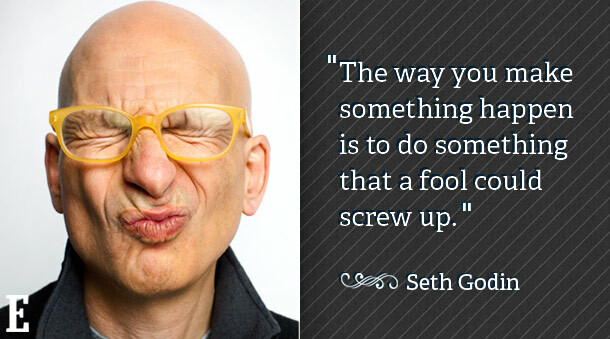 They know how easy it is to instantly create a bad habit by giving in–even just this one time. They see creativity as the result of effort, not inspiration. Most people wait for an idea. Most people think creativity happens. They expect a divine muse will someday show them a new way, a new approach, a new concept. And they wait and wait and wait. Occasionally, great ideas do just come to people. Mostly, though, creativity is the result of effort: toiling, striving, refining, testing, experimenting… The work itself results in inspiration. Remarkably productive people don’t wait for ideas. They don’t wait for inspiration. They know that big ideas most often come from people who do, not people who dream. They see help as essential, not weakness. Pretend you travel to an unfamiliar country, you know only a few words of the language, and you’re lost and a little scared. Would you ask for help? Of course. No one knows everything. No one is great at everything. Productive people soldier on and hope effort will overcome a lack of knowledge or skill. And it does, but only to a point. Remarkably productive people also ask for help. They know asking for help is a sign of strength–and the key to achieving more. At times, you will lack motivation and self-discipline. At times, you’ll be easily distracted. At times, you’ll fear failure or success. Procrastination is a part of what makes people human; it’s not possible to completely overcome any of those shortcomings. Wanting to put off a difficult task is normal. Avoiding a challenge is normal. Highly productive people try not to think about the pain they’ll feel in the beginning; they focus on how good they will feel once they’re engaged and involved. And they get started. And then they don’t stop. Unless there’s a really, really good reason not to finish–which, of course, there almost never is. Great employees spend the majority of their time helping other people succeed: Their company, their employees, their customers and vendors and suppliers… the list goes on and on. Great employees also spend some time helping themselves succeed, both for “selfish” reasons and because their success creates success for others. Lots of employees, managers, and business owners are the first to arrive each day. That’s great, but what do you do with that time? Organize your thoughts? Get a jump on your email? For example, years ago I decided to create a Web-based employee handbook my then-employer could put on the company Intranet. I worked on it at home on my own time. Some managers liked it but the HR manager didn’t so it died an inglorious death. Personal interests help other people to identify and remember you. That’s a huge advantage for a new employee or a company competing in a crowded market. Just make sure your personal interests don’t overshadow professional accomplishments. Being “the guy who does triathlons” is fine, but being “the guy who is always training and traveling to triathlons so we can never reach him when we need him” is not. It’s also the easiest way, because you’ll be the only one trying. Figuring out what kind of business to launch is hardly a science, but it should be considered logically. Think about the basic entrepreneur make up. While naturally all entrepreneurs are unique under the sun, they do tend to conform with certain archetypes. Some entrepreneurs are really inventors, who view the challenges of building a business as a necessary evil. Others are really marketers who believe that they can entice customers to any offering. Some just want to change the world and make it a better place. But why does this matter? It’s my view that if you know what your strengths are early, you’ll be better equipped to launch businesses that are more likely to survive and even thrive. I’ve always wondered if there was some way that I could quickly deduce a new entrepreneur’s “sweet spot,” and optimize my mentoring to those strengths and weaknesses, maybe similar to the Myers-Briggs type indicator for business professionals. I just saw an interesting step in that direction via a new book “Entrepreneurial DNA,” by Joe Abraham, with his assessment website. 1. Builder. These entrepreneurs are the ultimate chess players in the game of business, always looking to be two or three moves ahead of the competition. They are often described as driven, focused, cold, ruthless, and calculating. Many might say Donald Trump epitomizes this category. 2. Opportunist. The Opportunist is the speculative part of the entrepreneur in all of us. It’s that part of our being that wants to be in the right place at the right time, leveraging timing to make as much money as possible. If you ever felt enticed to jump into a quick money deal, like a real-estate quick-flip, or an IPO, that was your ‘opportunist’ side talking. 3. Specialist. This entrepreneur will enter one industry and stick with it for 15 to 30 years. They build strong expertise, but often struggle to stand out in a crowded marketplace of competitors. Picture the graphic designer, the IT expert or the independent accountant or attorney. 4. Innovator. You will usually find the Innovator entrepreneur in the “lab” of the business working on their invention, recipe, concept, system or product that can be built into one or many businesses. The challenge with an Innovator is to focus as hard on the business realities as the product possibilities. Too many Innovators are like Dean Kamen, still struggling with the Segway Human Transporter, while holding 440 other device patents. 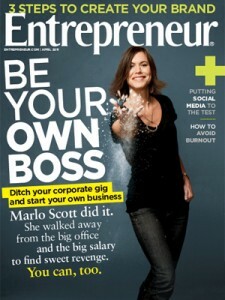 Of course, discovering your entrepreneur type is only the beginning. After that, it’s all about capitalizing on those strengths, shoring up your weaknesses and building a plan that works for you. Overall, I see real value in using this methodology in conjunction with incubators, business accelerators and mentoring. I’m not yet convinced that anyone has a fully automated system that will nail your entrepreneurial DNA and help you succeed, despite the unpredictable business and personal realities. But I see a real opportunity here for every entrepreneur to optimize his impact and his personal satisfaction with a minimum of effort. I challenge each of you to take a hard look at what makes you tick. What do you think makes up an entrepreneur’s DNA? Let us know in the comments section. I recently tweeted that the three most important qualities of a leader are integrity, integrity and integrity. It received a multitude of re-tweets. You can’t be a true leader without integrity. Integrity is what you do when no one is watching; it’s doing the right thing all the time, even when it may work to your disadvantage. That’s a pretty good definition and it reminds me of the story of the carpenter. There once was a carpenter that was nearing retirement. He informed his contractor-boss that he planned to retire and spend more time with his wife and family. He was tired and desired to live a life of leisure. His boss was sad to see him go and asked as a personal favor if he would agree to build just one more house. The carpenter agreed. In time, it wasn’t difficult to see that the carpenter’s heart just wasn’t in his work anymore. Because his work was unsupervised, it was easy for him to cut corners and resort to shoddy workmanship. It was an unfortunate way to end his career. Imagine the carpenter’s surprise….and his shame. If only he had known that all along he was building his own house. He would have done a much better job. But, now he was stuck with his own shoddy workmanship. Integrity is what you do when no one is watching. The life you are building is your house. You are the carpenter. Every day you pound in a nail, put up a beam, or paint a room. Build is wisely, even when no one is watching.